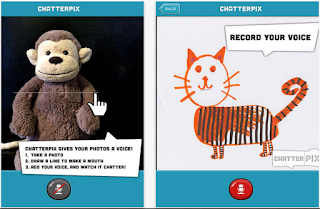 Here are two free iPad apps you can use with students to create talking pictures. Both of these apps allow you to record your own voice to use as a voice-over in your photos. ChatterPix Kids is a very good iPad app you can use with your students to create animated photos and doodles. The app is very easy and simple to use and has a student friendly interface with no learning curve. You simply take a photo on your iPad and add a voice-over to it. You can for instance draw a line to signify a mouth and record your own voice. This way students can make anything talk pets, doodles, friends and more. Animated pictures created by ChatterPix Kids can be shared with others as playful messages, creative cards or even fancy book reports. Some teachers use it with students who have hearing problems to help them to talk more. ChatterPix Kids is for kids between 6 and 12 and is completely free of charge. It requires an iOS 5.1 or later. 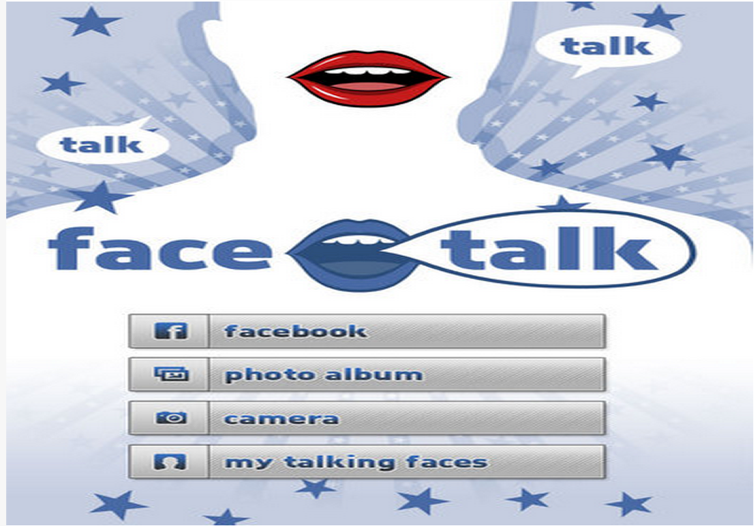 FaceTalker is another good free app for making pictures talk. It works pretty much like ChatterPix Kids. You can use a photo from your Facebook or grab one using your iPad camera and record what you want to say. The photo will speak back the audio recording you input to it. FaceTalker also allows you to record videos to share with others through emails or social media websites.